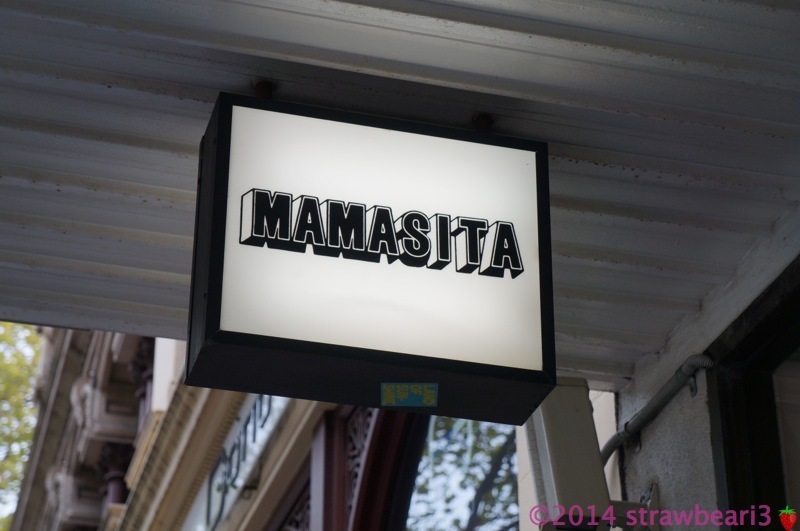 Our Melbourne food adventure ended with lunch at Mamasita. Located on the first floor of 11 Collins Street, you could almost walk past without realizing its existence. The set of stairs to the restaurant was tucked between 7-11 and Giotto New Gen clothing shop. We arrived at 12.15pm on Saturday, which was just 15 minutes before opening time. 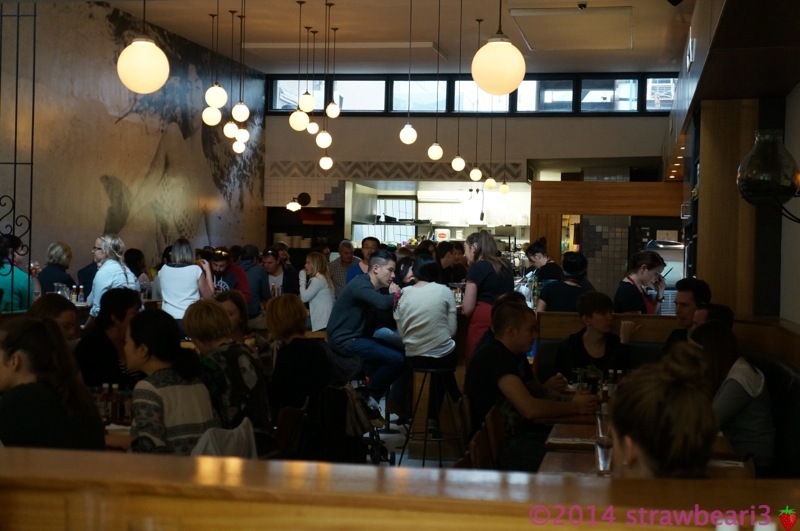 The restaurant was easily spotted by the groups of people queuing up, waiting for the door to be opened. There were only 3 other groups of people ahead of us when we arrived, but by opening time, there were at least another 5 groups of people behind us. 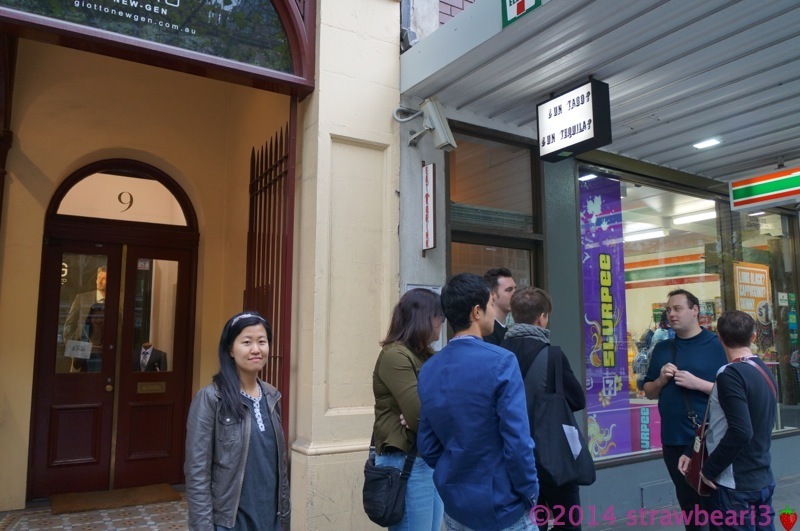 One thing I learn about Melbourne is that people are willing to queue for good food. At 12.30pm, a staff member came down to open the door for us. We walked up the steps and were seated. We chose to sit by the window for better lighting. 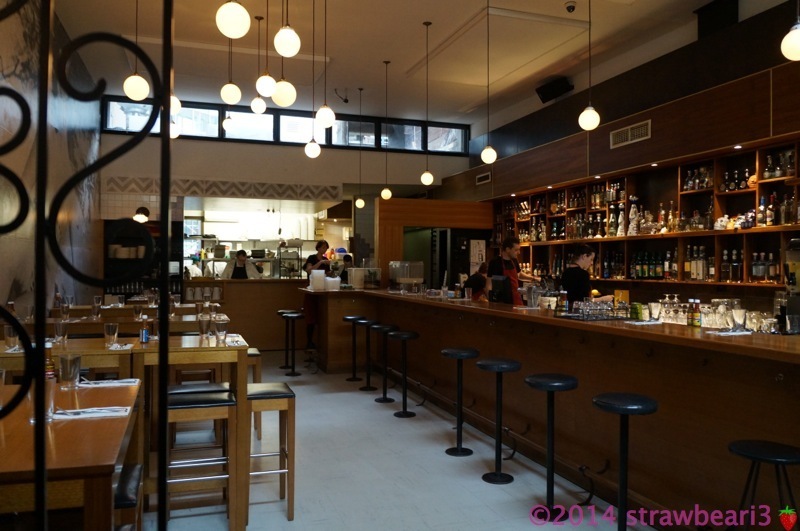 The waitress explained that the restaurant follows the tapas concept of small share plates. That worked just fine for us so we ordered several dishes to share. 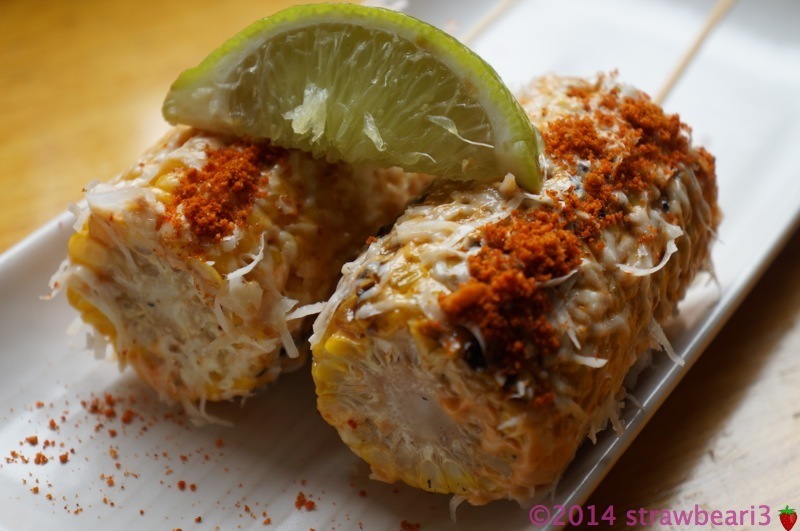 Their signature dish is the Street Style Chargrilled Corn, Queso, Chipotle Mayo and Lime ($4.90), also known as Elote Callejero on their menu. Incidentally, this was also our favourite dish of the day! The sweetness of chargrilled corn, combined with salty grated queso cheese and a creamy sour chipotle mayo & lime sauce – the new meaning of ‘perfection’. Although it was a bit messy to eat, the taste alone was enough to keep us going back for another bite. The Tostaditas de Carnitas ($14) came next. 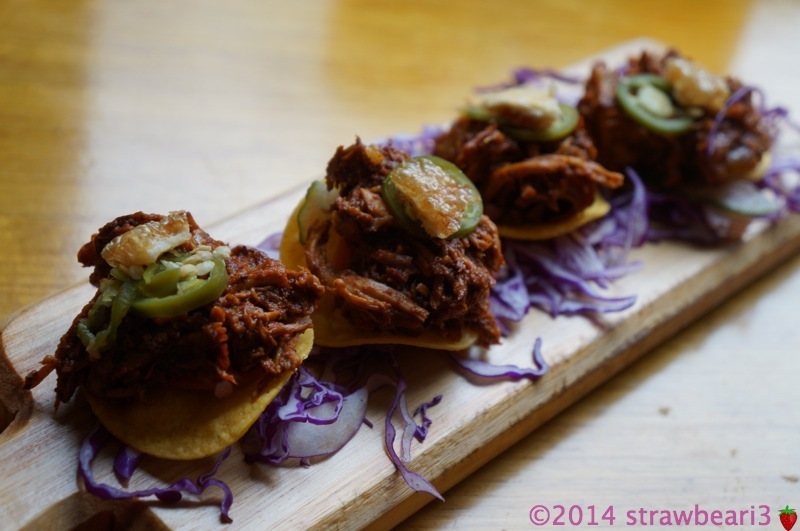 Consisting of Slow Braised Pork Shoulder, Encurtidos, Pickled Jalapeno and Chicharron served on 2.5 inches Fried Tortilla Chips, it was appetizing and could easily be eaten in one (or maybe two) mouthfuls. We have tried Quesadillas at other Mexican restaurants but have never been a fan because they’re usually buried underneath a mountain of cheese topping. We decided to give it another try and ordered Quesadilla de Pollo ($12), which consists of Chicken, Spring Onions, Corn, Chipotle, Coriander and Queso Fresco. 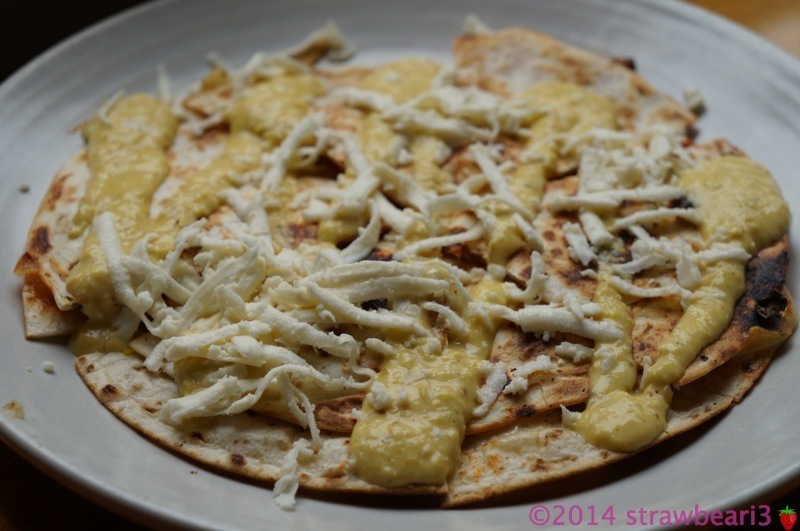 Thankfully Queso Fresco is a mild cheese and blended in very well with the other ingredients. This was the first Quesadilla that we have ever actually liked! Next up we had a taco each. I had the Taco de Puerco ($6), which is a Soft Shell Tortilla with Pig’s Cheek, Fiery Apple and White Cabbage. 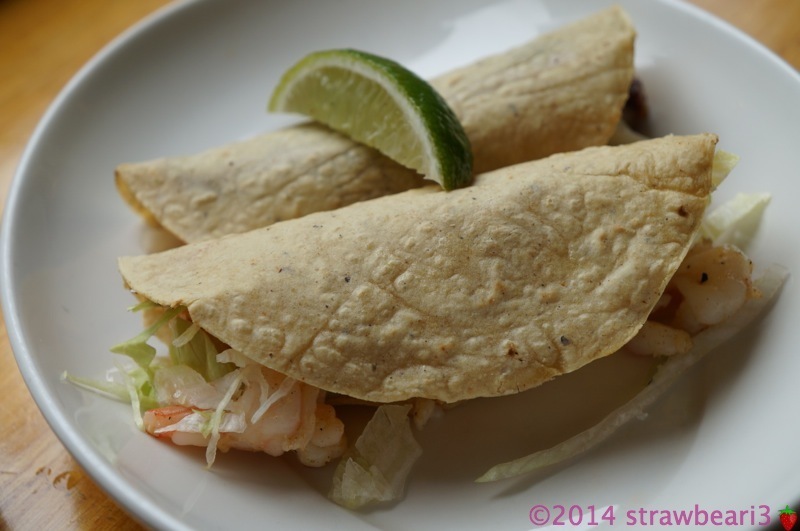 D had the Taco de Camarones ($7), which is a Soft Shell Tortilla with Marinated Prawns, Red Chilli and Chipotle Almond Salsa. They were delicious, but could have done with a bit more seasoning. It seemed like we’ve had a lot of food, but we were not 100% full, so we had another look at the menu and ordered Torta de Arrachera y tuetano ($10). 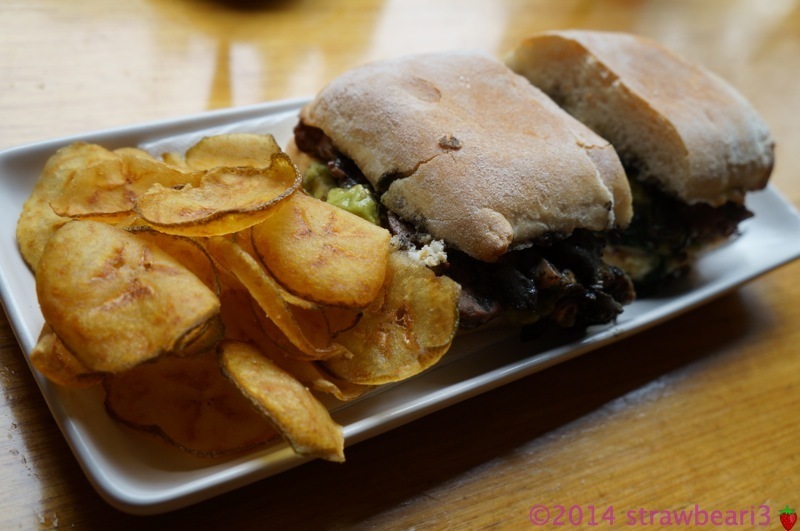 It was a Grilled Mexican Sandwich with Grilled Steak, Bone Marrow Butter, Blackbeans, Red Onion, Mexican Cheese and Huitlacoche (not sure what that is). When the dish hit our table, we knew that it was more than enough for us. The sandwich was good, but not out of this world. I actually preferred the side-serve of thinly sliced chips that came with it. 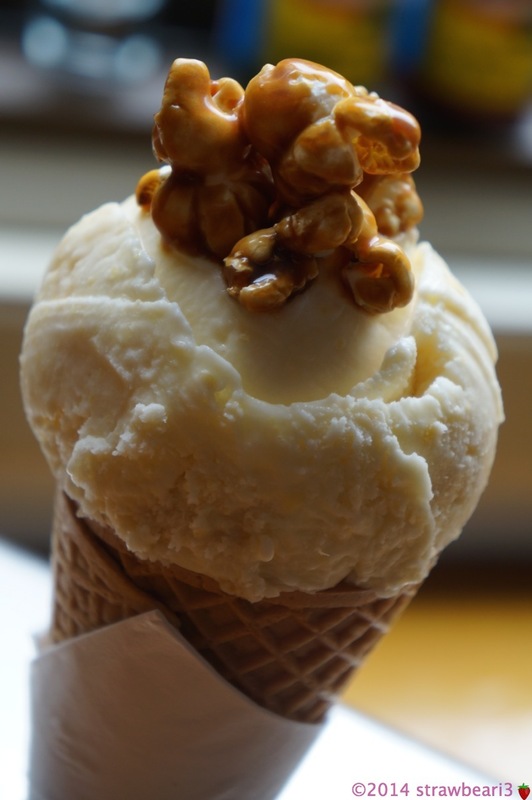 To end the meal, we ordered a Helado de Maiz ($6) which consists of Sweetcorn Ice Cream, Salted Caramel and Popcorn. I didn’t expect it to come in a cone, but it was a fun way to finish the meal. The taste was quite light and mild, but at that point, I didn’t think we could have anything heavier. The restaurant was packed by the time we finished lunch. We were glad we went early to avoid the crowd. So friends, that concludes our foodie trip in Melbourne. We had a wonderful time and will definitely return to the food capital of Australia, perhaps after a bit of dieting first.